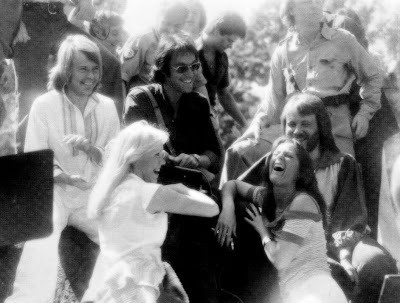 ABBA and Robert Hughes working on a scene for ABBA The Movie in the summer of 1977. Frida: Your bum??? Whoahahaha... you're killing me!